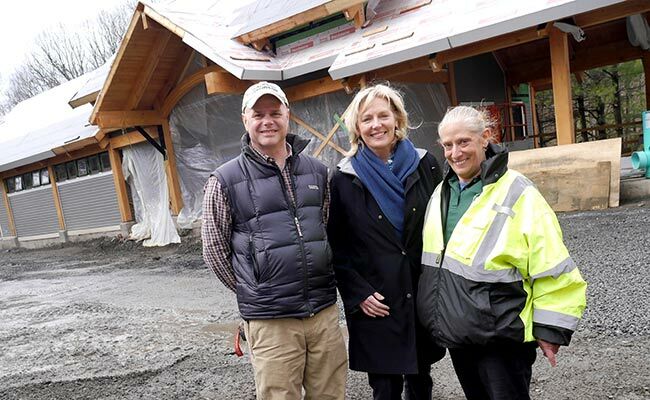 Construction of the Ulster Welcome Center at the Highland entrance to Walkway Over the Hudson is on schedule for completion by early to mid-June, according to the Walkway’s Executive Director, Elizabeth Waldstein-Hart. The project includes a plaza with open and covered seating, an area for food concessions, administrative offices and public restrooms. A grand opening will likely be held in late June. Construction of a second visitor center on the east side of the river is set to commence as soon as the weather cooperates, with completion anticipated by June of 2019. The Dutchess Welcome Center will feature open and covered outdoor seating, concessions, enhanced landscaping, a bus drop-off and restrooms.